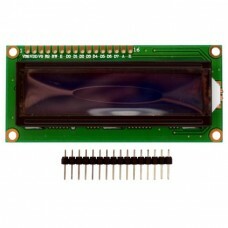 This Character LCD module is a 1602 LCM type with 2 rows of 16 columns. This model operates at 5V and has a blue backlight with white on blue text. 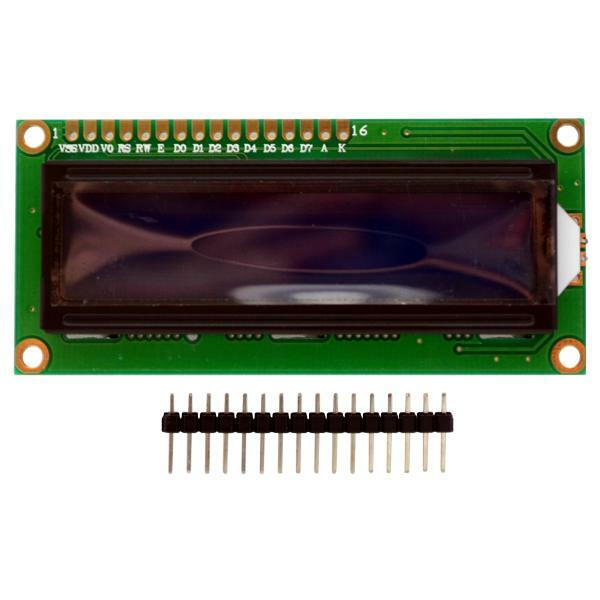 It features a standard HD44780 compatible controller to simplify integration into your project and includes a strip of male header that can be soldered to the board as needed. 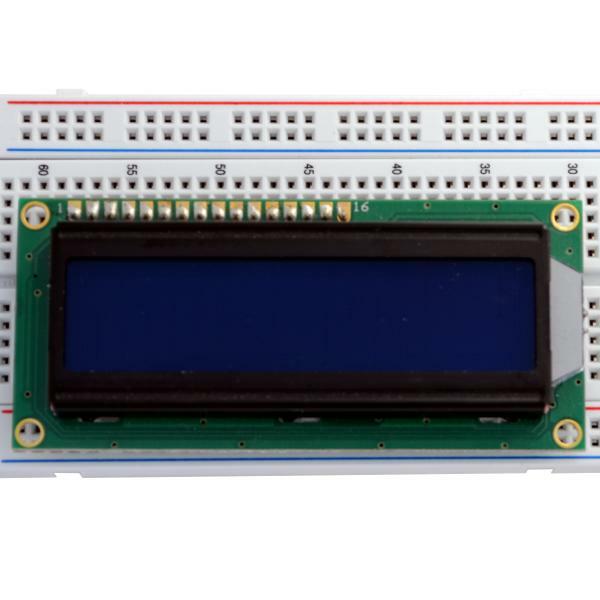 This industry standard LCD module is supported by a wide variety of microcontroller libraries, code, circuits and projects.